Nothing really ends. Especially not wars. Ringo Flinthammer had known nothing but war since he was a boy, when orcs first invaded Azeroth. 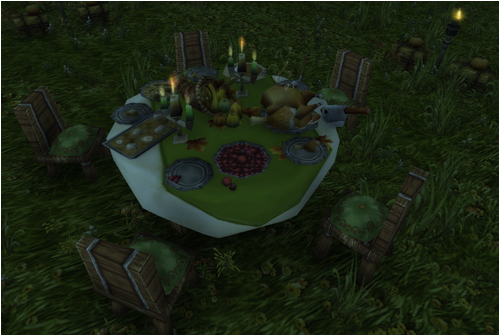 And in every war since, leaders had told soldiers marching off to war, or fighting to drive the orcs from their homelands, it would all be over by the Feast of Winter Veil. Ringo guessed night elf leaders a millennium ago probably told their soldiers they would all be home from the War of the Shifting Sands in time for the Lunar Festival. Sargeras’ defeat was not a secret. There were lights in sky over Argus and a vision of Sargeras — or maybe the titan himself — appeared above Azeroth for a moment before a new red star appeared in the sky. Moments later, Legion ships vanished from the skies over both worlds, winking out in a flash of green, one by one. But that left members of the Burning Legion trapped on both worlds. Many of them dug in, determined to defeat the Armies of the Legionfall and the Army of Light. Or to take as many of their opponents with them as they could. Mop-up operations had gone on for weeks. The Legion had controlled Argus for millennia. Rooting them out might take decades. 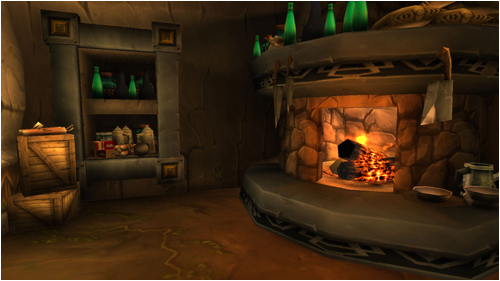 As happened in Quel’Danas and Northrend and Pandaria and Draenor, the occupation lasted longer than the war itself. The war zone became home. Slop splashed into dented metal plates became home meals. Bedrolls, slowly rotting from nightly contact with the corrosive soil, became the feather beds waiting at the end of the day. An explosion. Then blackness. And silence. Beli Flinthammer didn’t have a plan. She had spent weeks trying to come up with one, ever since she and her son had identified the demon hidden with the other dwarf and gnome refugees who had fled Stormwind in attempt to keep their families safe from further Burning Legion attacks. But although she knew the demon was hiding in the shape of a gnome and calling itself Tuldire Longread, that didn’t tell her what kind of demon she was dealing with. The wyrmtongue seemed to favor the same places that dwarves and gnomes did, but they weren’t known for cunning or deception. Tuldire could secretly be a sayaad, a doomguard, a satyr or even — shudder — an aranasi. But until she knew what they were facing, confronting Tuldire head on could be suicide. He could be a practically helpless imp or an annihilan, capable of leveling cities all on his own. The danger and uncertainty had led her to order her son to stay close to the black lion, Lucky, that her husband had brought back from the Barrens many years ago. Bael had also taken to carrying his sledgehammer with him everywhere, even sleeping with it at night. Her son nodded, and rested one hand on Lucky’s broad back. Plan or no plan, they were now out of time. “Well, that’s good, isn’t it?” Therum Deepforge asked, studiously avoiding looking at the bound and gagged prisoners nearby. Tuldire shot him a look. “And you do?” Benik Boltshear snapped. It seemed like Tuldire and Beli had underestimated the refugees; they wouldn’t be going along with Tuldire’s insane plan so easily. “The Army of the Light is going to lose,” Tuldire repeated, “and there will be no safe place left on Azeroth. The Burning Legion will sweep across this world and everyone on it will either join them or die. The portal had taken shape quickly. 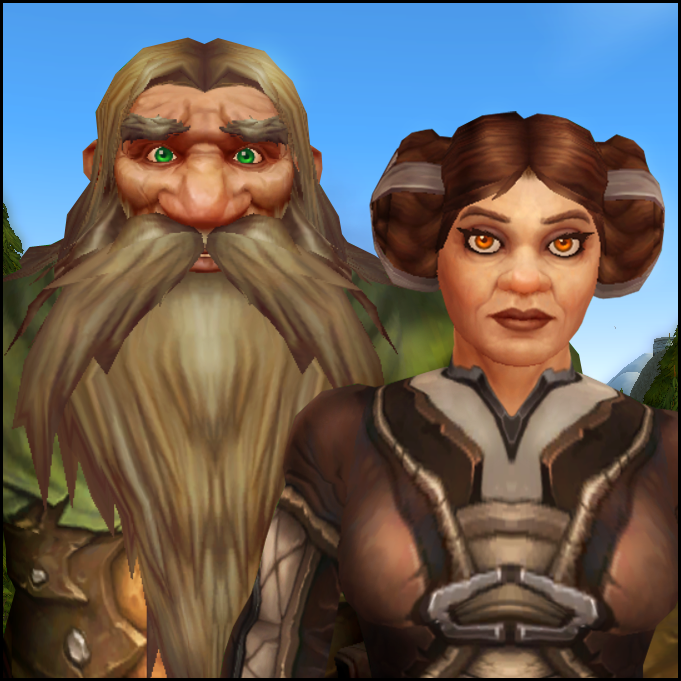 Beli suspected that’s why Tuldire had blended in with dwarves and gnomes — if you wanted to build something well, and quickly, there was no one better on Azeroth. Beli had been disappointed to see how easily everyone had gone along with building what clearly was an echo of the Dark Portal, but scared people could rationalize a lot. But this final step seemed to have caused many of them, at long last, to object. “Bael!” Beli couldn’t help herself — her son had crept behind Tuldire with his hammer, ready to do … something. Most times, the diners at the refugees’ Pilgrim’s Bounty feast just waved him away. That was part of the reason he had picked sweet potatoes, of course. Also, looking at the spice bread stuffing made him think of his father and feel sad. “Candied sweet potato?” Bael said, bringing the platter down between Myrla Stoneround and Therum Deepforge, whose conversation was momentarily interrupted by the platter’s intrusion. They shook their heads and Bael slowly pulled it back, pausing first by Stoneround and then by Deepforge, each time looking across the field toward the apartment he shared with his mother. “What?” Bael jumped in surprise, almost dropping his platter. Across the field, Bael spotted his mother shaking her head again before ducking back inside the apartment. Another shake of his mother’s head. Another shake. This time, he actually was able to see her slipping the hood back onto her head. Bael glanced around nervously; no one else seemed to have spotted her doing so before ducking back out of sight. Everyone was studiously keeping their eyes on their plates or their neighbors; no one seemed to want their gaze to land on what had been their stables until a few days ago, but which now housed a group of pirates who had attempted to raid the refugee camp. Bael stopped and began spooning some onto Tuldire Longread’s plate. Bael’s movements slowed and he stared at his plate for a moment. Bael looked up, seeing his mother striding purposefully across the field, her hood hidden safely back in the apartment, their great black lion, Lucky, following behind her, clearly hoping for some turkey. She had a rigid smile plastered on her face, and was nodding ferociously. They had found the demon hidden in their midst. The great black lion rolled over onto his back and, without opening his eyes, released a blast of flatulence that made Beli Flinthammer’s eyes water. Bael Flinthammer snickered, and rubbed the great cat’s belly. Beli put down a bag, thought about this, and nodded. The dwarf and gnome refugees had spent the last few weeks busy, carving out more homes in the base of the Arathi cliffs, all the while being careful to attract no notice from the ships they occasionally saw sailing past on the Forbidding Sea — purple-sailed ships flying the flag of the Banshee Queen, black-sailed pirates or other, more mysterious ships. The refugees were craftspeople, merchants and farmers. There weren’t any who had ever seen much combat besides Beli. She reached out, grabbing the pale wooden shaft. “Sorry, Mommy — Mom,” Bael said, handing the staff back to her.